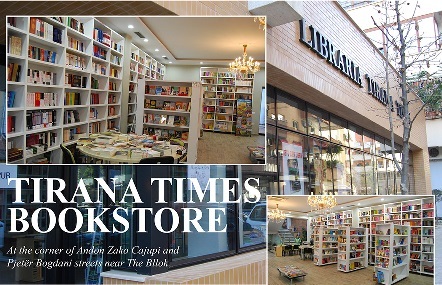 Recently, the Albanian Institute for International Studies (AIIS) hosted a promotion event at the Tirana Times bookstore featuring Dr. Ernest Nasto and his newly released book ”One nation under God – faith and politics in the United States”. Ernest Nasto started his career as a lecturer of International Economics and Finance at the Faculty of Economics, University of Tirana, and later pursued doctoral studies at the University of Aix-Marseille France. For several years he also taught courses in Economic Policy at the Institute of Political Studies in Aix-en-Provence. After moving to Michigan, United States, in 1997 he joined the private sector, but always maintained a keen interest and passion for the study of American history, economics and politics. He has specialized in the role of religious faith throughout American history, as well as in shaping the policies of the world superpower. 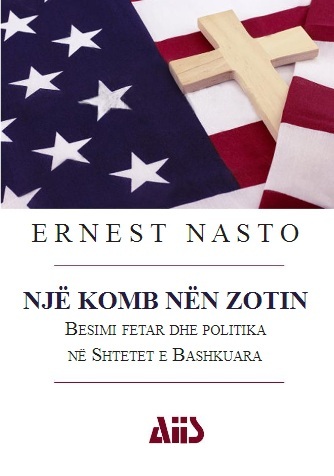 Dr Nasto has introduced this aspect of American society in the recent years through a number of open lectures in universities of Albania and Kosova, as the field is almost unknown to the Albanian public. Opening the event, Mr. Jorgji Qirjako, deputy director of AIIS, presented the author to the numerous participants and emphasized the fact that this book is the first one in Albanian to describe this very important aspect of American politics. Dr. Klejd Këlliçi and Dr. Nikolin Pano also gave special remarks on the subject of the book, and praised the author for offering this ”special key” to a better understanding of the inner workings of the American society in general. Then Dr. Nasto described more in detail the content of the book, explaining first the impact of Christian faith in American history and its role in bringing forth some foundational ideas of the American national conscience, which are analyzed in the first part. For example, the ideas of the ”chosen nation”, of the ”nature’s nation” and later of the ”Christian nation” were very prominent during colonial America, throughout the American Revolution, and well into the 19th – 20th centuries. The author explained how the self-understanding on the part of the newly created nation is reflected on the Great Seal of the United States on the back of the one-dollar bill (the eye, the unfinished pyramid on a barren desert terrain, etc). Moving to the object of the second part of the book, Mr. Nasto pointed out the influence of religious faith in modern American policies as exemplified by the political-religious group known as the Religious Right. According to the author, the reelection of George W. Bush in 2004, in the midst of great confusion caused by the Iraqi crisis, was clearly attributable to this group, which succeeded in presenting the issue of gay marriage as the greatest danger for the American civilization. He also described their role in the 2016 campaign and how the support of most of its leaders for Donald Trump was exactly the opposite of all their preaching on ”character matters” during Bill Clinton’s scandals 20 years ago. Dr. Nasto also insisted that this group in no way speaks for all Christian believers in America, much less for the Christian faith in general. They are first and foremost a political group, despite their pretensions of the religious faith being their main concern. A lively session of questions and answers ensued, with the author interacting with several participants and addressing their questions on the issues at hand. Mr. Nasto also stated that as the Albanian public becomes more familiar with these important factors in American policy-making, it can only contribute to a better understanding of the United States, of their society and culture in general. As such the book should be helpful not only for students and scholars of international relations, but also for diplomats and foreign policy experts in Albania, Kosova and Macedonia. At the end Dr. Nasto also signed books for the participants before the event was wrapped up over wine and appetizers.